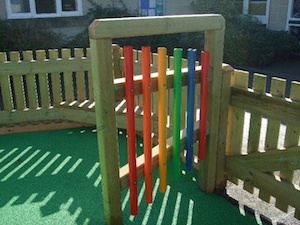 Musical instruments for school playgrounds provide a way to get children interested, and to try their hand at playing a musical instrument in a fun playful environment. We offer a wide selection of innovative, strange and contemporary outdoor musical instruments for children to express their musical ability. Most instruments are custom made, and are specially treated for outdoor use.